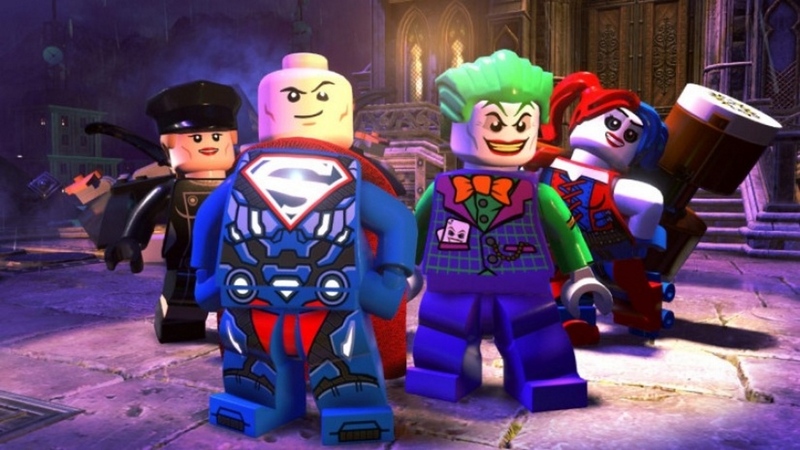 The latest offering in a very long line of LEGO video games is DC Super-Villains, a LEGO game with a twist. Instead of taking on the mantle of the heroes of whichever franchise the game is based on, you’re stepping into the shoes of some of the DC universe’s most infamous villains (and a fair few I’ll admit I’d never heard of!). The game starts with Joker robbing Wayne Manor, but things quickly escalate to reveal a darker plot. The dubious ‘Justice Syndicate’ appears and sends the real Justice League off somewhere, and then proceeds to masquerade as heroes, fooling everyone except a few shrewd villains, leaving them to save the day. You join Joker, Harley Quinn, Lex Luthor, Clayface and many more villains on a mission to protect the earth from even worse bad guys. 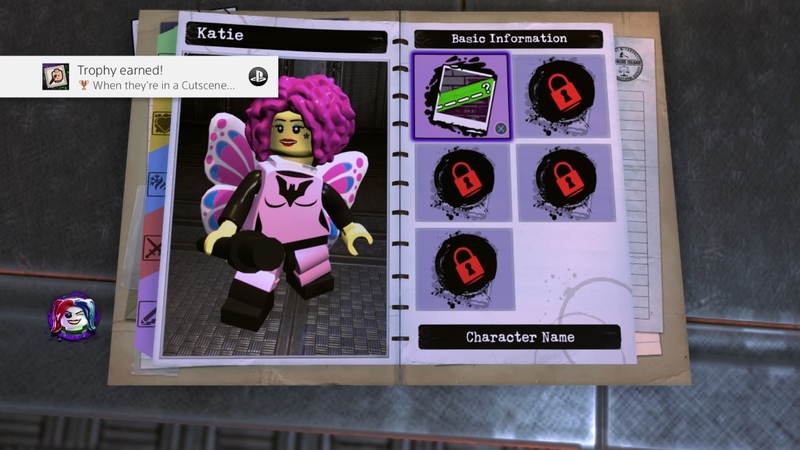 Every LEGO video game has featured character customisation in some form or other, but DC Super-Villains is the first to include a custom character as a central figure in the story. The character creator offers a huge range of customisation options, from hairpieces to hats to utility belts to fairy wings to legs of different colours, with more options to be unlocked as you play. You also get to choose a few abilities for your character to start with, as well as how these abilities look when used. 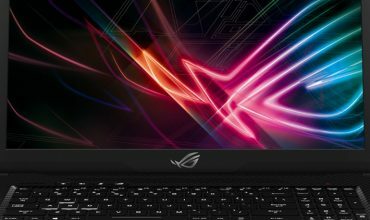 The possibilities are just about endless, and you’ll gain more abilities as you play through the story as your character has the unique ability to gain new superpowers. The only disappointment is the fact that your character never speaks, though they do have a voice for combat grunts and whatnot. Considering the huge number of options available, it wouldn’t have been feasible to record voice lines for every possible character. Fortunately, the other characters do notice that you never say anything, and it becomes something of a running gag among the other villains. 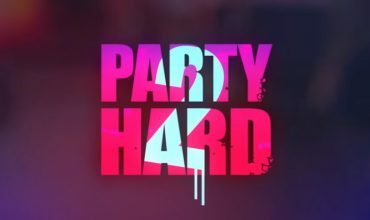 The cast is a stellar one, featuring Mark Hamill as the Joker, Nolan North as Ultraman, Clancy Brown as Lex Luthor, Gina Torres as Superwoman, Tara Strong as Harley Quinn, Grey Griffin as Catwoman, Jennifer Hale as Killer Frost, and many more (including many Critical Role cast members). The main story levels will take you around 10 hours, but like most LEGO games, this will only take you to about 25% completion. After the story, there’s freeplay to unlock the many extras hidden throughout the levels. 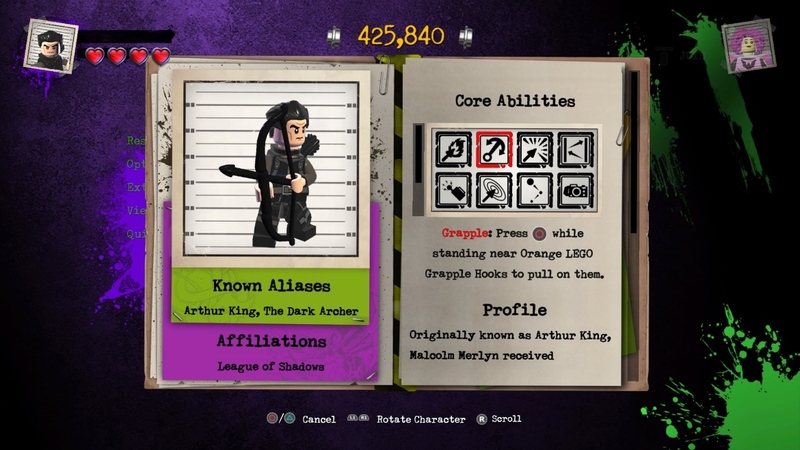 And while the cast of unlockable characters is huge, and the number of special abilities is almost overwhelming, finding and changing to the right character for the job is not as onerous as it has been in some previous LEGO games. 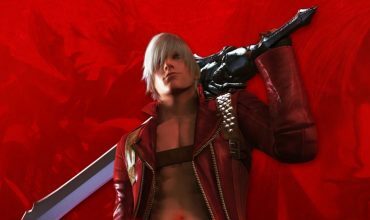 It’s possible to filter the character list by abilities, and when a particular ability is needed, the game will jump to a suitable character when you open up the character roster. These small quality of life improvements have been appearing over the last few LEGO games, and they really make the monumental task of completing everything in these games a little less daunting. 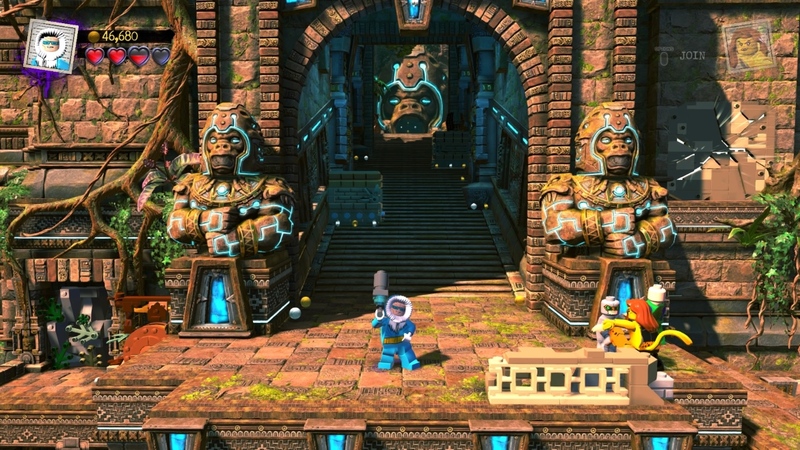 The story itself features the wacky LEGO humour we’ve come to expect and has fun and surprising moments. For the most part you’ll be following your merry gang of villains, but eventually, you’ll also be able to see what the Justice League was up to while the villains were busy saving the world. The hub world between story missions is huge, as is the trend with LEGO games. Despite this, load times didn’t feel as long as some recent LEGO games. You’ll get to explore an interesting mix of Gotham and Metropolis, as well as Smallville and Apokolips. The contrast between Gotham and Metropolis is comical, with sunny skies on the Metropolis side which change into permanent gloomy skies as you enter Gotham. As always, there are tons of things to collect, puzzles to solve, races to… race, secrets to find, statues to deface, and so on. As well as in-jokes and references aplenty. For example in one mission you need to steal something but Atom is defending it. Atom is voiced by Brandon Routh, who plays Atom in the Arrowverse’s Legends of Tomorrow. His Lego face even looks a lot like Routh. Having characters with so many abilities means that sometimes you will want to build and your character will start to shoot lightning or charge up a power attack, but it is a small price to pay for having characters with abilities on every face button, sometimes two (hold vs tap). It is worth pointing out that the interactions in levels feel more useful, with the game finally moving from 10 minikits per level to 5, making puzzles feel more relevant and varied, rather than the same hunt for x number of objects in the background to hit with a ranged attack. Even when you defeat a boss, your character takes a selfie of their victory, often with the defeated foe smiling along. 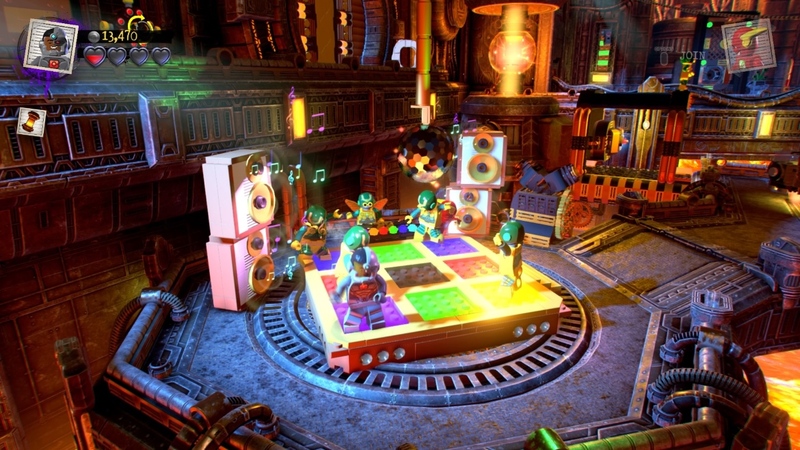 Boss fights continue to be a hit and miss affair in the game, with some fights relying on doing the same thing over and over too many times to whittle an enemy’s health bar down, while some fights feel neat and tidy, with you building two gadgets to help your fight before landing a few punches to finish them off. While being able to dodge does help, some of these fights feel like the low point of some otherwise cleverly designed levels. One fear I had going into the game was that LEGO games tend to be aimed at children, and this seemed to be a game that focused on the villains and what kind of message that would send to young, impressionable minds. Thankfully Traveller’s Tales has handled this well, with the villains stepping up to stop the new baddies in town when the heroes are taken out of the picture. Even when you defeat a boss, your character takes a selfie of their victory, often with the defeated foe smiling along. It is a small touch, but if you were worried about your child playing this and wanting to become a villain, you can rest assured that this is a story about heroes. With better loading times, quicker character changes in freeplay, more abilities than you can shake a stick at and a fun romp through DC, it is good to be bad. Well, bad-ish. Less bad than the real badd~ you get the point. LEGO DC Super-Villains is a lighthearted romp with those interesting villains that we love to hate. Sprinkle in some chaos, fun abilities and characters that gets far too powerful for their own good and you get to explore the DC universe a little differently.